There is this new comedy on air nowadays – happened to catch one of the episodes, thanks to a good chum of mine, and now have fallen in love with the series. The series is just in its first season as of today, with about 18 episodes aired. 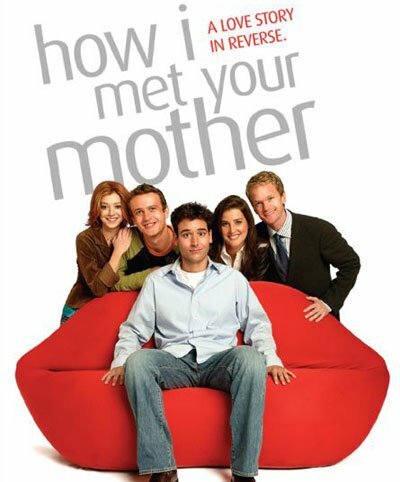 Anyways, the show is called – “How I met your mother” and tells us the story of how the protagonist – Ted (Josh Radnor) falls in love. The series is kind of a flashback in which he is telling this story to his kids – and hence the weird sounding name. Anyways, the cast also includes Neil Patrick Harris – Ted’s friend Barney – who I feel would be the primary reason for watching the show. His character and the way he portrays it is brilliant – something that Chandler was to friends – but with no ethics … which makes it so much more enjoyable. The second reason to watch the show would be the utterly cute Cobie Smulders – who plays Robin – Ted’s on and off love interest in the series. The other two people who make up the team of five are Jason Segal – Marshall (Ted’s best friend from college) and Alyson Hannigan (from American Pie) – who plays Lily – Marshall’s fiancee. The chemistry between the five is very good which eases you into the show at once and makes you feel right at home. In the show, Barney talks about blogging many times and all those incidents are right there. Its nice to see that the producers take that extra effort to do these things which gives the show a more real feel to it and makes the characters a bit more believable. Sorry, haven’t Met Ted, yet! Barney is the glue that holds the show together.. I wouldn’t watch it if he wasn’t there in the show! Of course, Robin looks awesome!! Doesn’t she look like Katrina Kaif?